I wanted to be intentional is trusting God to prepare me this year. Of course, he’s been faithful! It’s not that I doubted God’s preparation; I just wanted to be more intentional in yielding to it, recognizing it, and giving God the credit he deserves. I’ve also become more sensitive to God’s preparation while I’m in the process. After all, yesterday’s preparation was at some point “today.” I won’t always understand the specifics of God’s preparation, but I can certainly acknowledge he is preparing me in whatever situation I’m experiencing. But in the past couple months, God has taken his teachings of preparation to another level for me. Preparation isn’t something I can acknowledge and appreciate in hindsight or in real-time. Preparation is also anticipatory. When I expect God will prepare me, I am not only aligning myself with his will but also giving him the glory ahead of time. Sometimes my acknowledgement of his preparation in advance is between him and me. I thank him for what he is about to provide or take me through. I acknowledge that I will approach the blessings and troubles ahead with his perspective, not mine. But there’s not as much tangible accountability when I don’t speak in preparation, and there is power is speaking God’s name. So, I’m developing a habit of claiming God’s provision and promise to others before I can see his provision and promise. Then, I have taken a step of faith, and I’m not tempted to take credit for something or try to explain it with reason. If I’ve said “God will…,” I’m claiming him ahead of time in faith. I’m prepared to proclaim, accept, and live out God’s will. It doesn’t mean I proclaim the specifics of what’s going to happen. I simply proclaim in boldness that what I’m going to do is in God’s strength, not mine, that he gets the glory, not me, and that I trust him, no matter what. Joseph faithfully lived out his faith by giving God glory before doing what he knew only God would provide. He could have just as easily proceeded without mentioning God by name. He could have taken the credit himself or given the credit to God in hindsight. Whether his boldness came from his full confidence in and reliance on God or whether it was important to him for accountability, the result was the same. (1) He placed himself without reservation under the authority of God. (2) He informed those around him that it was God and God alone who guided and provided for him. How is God preparing you, and how are you responding? Looking across many situations, I have to admit I’ve probably torn down more fences on my own than built them, but a particular fence-building project has stuck with me. As I was serving in the small group and women’s ministries at church, a group of women approached me in search for a particular type of Bible study. I understood what they were asking for, but I also knew what they specifically wanted didn’t exist. We could piece it together, but it wouldn’t be a comprehensive study. They ask if I’d write it. When they asked again a few weeks later, I was a bit annoyed. I decided the only way I’d get them to quit bugging me was to appease them by praying about it. I asked a couple friends to pray about it, assuring them I was certain I wasn’t supposed to do it, but this was a “just in case” prayer. Within 24 hours, I knew I was wrong. 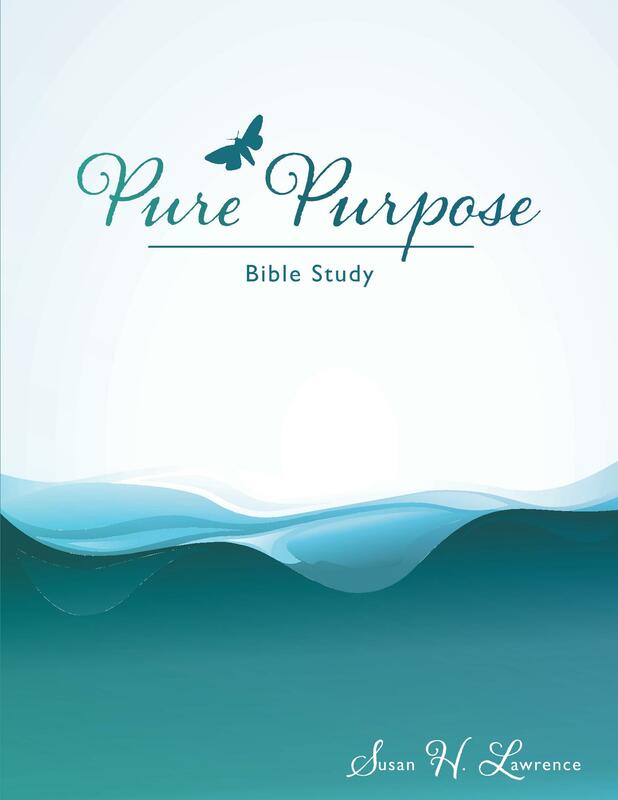 I was supposed to write what later became the Pure Purpose Bible study. I built a fence where it didn’t belong. It’s a word we either don’t like to hear, don’t understand, or simply ignore. 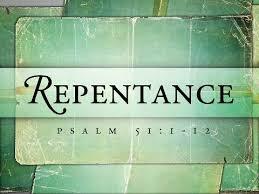 Repentance requires acknowledge of something being amiss, and we don’t necessarily like to admit we’re wrong. It seems to indicates weakness, and weakness is…well, a weakness! When we repent, we admit where we are, not to get stuck, settle into a place of defeat, or give up. We repent, because we’re willing to move beyond where we are. We acknowledgement where we are isn’t where we should be. It doesn’t mean everything in our lives is bad. In fact, as we grow in faith and let God consume our lives more completely, we realize he challenges us to repent of even the slightest details of our attitudes and intentions, pruning the tiny weeds before they grow into trees. There are no limits on repentance. It includes the big and tiny, the ongoing and momentary, the obvious and well-disguised. We often respond in faith forgetting the importance of repentance. We ask for blessings, we praise God, we expect God’s promises…but we haven’t done a heart-check first. We need to ask ourselves if there’s anything between us and God as we approach him, and since we work toward developing an ongoing connection with him, we need to be adamant about consistently asking him to identify anything that’s creating any amount of distance between us. That also means we have to be willing to listen as he reveals the distance. We need to be willing to respond. Repentance isn’t a pit of guilt. It makes a way out of the pit of guilt. Get familiar with repentance. It’s a grace-filled gift from God. God, be merciful to me because you are loving. Because you are always ready to be merciful, wipe out all my wrongs. Wash away all my guilt and make me clean again. I know about my wrongs, and I can’t forget my sin. You are the only one I have sinned against; I have done what you say is wrong. You are right when you speak and fair when you judge. I was brought into this world in sin. In sin my mother gave birth to me. You want me to be completely truthful, so teach me wisdom. Take away my sin, and I will be clean. Wash me, and I will be whiter than snow. Make me hear sounds of joy and gladness;let the bones you crushed be happy again. Create in me a pure heart, God, and make my spirit right again. Do not send me away from you or take your Holy Spirit away from me. Is Change a What or a Who? How often do you demand, expect, or desire organizational change? What does the national government need to “get it right”? What are the top changes the church should make? What are the major changes you want to see at your workplace or grocery store or in the healthcare, education, or public aid systems? Mahatma Ghandi said, “You must be the change you want to see in the world.” I think God would tweak it a bit: “You must be the change God wants to see in the world.” In essence, you need to listen and respond to God and the way he’s changing you. You’re not the only one on his radar; he’s able to be everywhere all the time. He’s got the details covered. That means he can change the world. He could change organizations. But God’s way of changing works through people. He’s passionate about people he creates and wants an intimate relationship with them. If you desire change, he wants you to experience change. Change is an investment. It can be a foolish investment or a wise investment. God wants to show you what wise investment is. 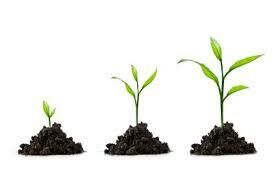 He wants you to engage in investments that yield significant growth. The growth and change isn’t always what you define as the best or most preferred growth and change, but if it’s God’s way, it’s the best way. Are you going to get stuck in the quagmire of expecting change outside you in order to meet you where you are, or are you willing to let God examine where you are and take you to another place, impacting not only your own life but those you connect with along the way? Have you ever given advice you have difficulty applying in your own life? Have you ever stretched the truth (a.k.a., lied) to make yourself look a little better or perhaps a little worse in order to avoid doing something? (Perhaps you’ve even deceived yourself.) Are there areas of your life in which you know there are principles you should follow, but you just don’t seem to be able to discipline yourself to apply them, or you struggle with how they apply directly to you? Truthfulness isn’t just about what you say. It’s about the way you live. 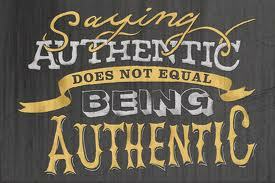 It paves the way for an authenticity in our lives, a perspective that reflects actually and exactly what we claim. Authenticity is a reflection of God, which means if we want authenticity, we can’t look in our own mirror; we have to use his. If you’re supposed to reflect God’s character, how “real” is the reflection? Truthfulness affects others. It affects their faith, because it affects how they see God. Whether I have a long-term relationship or momentary encounter with someone, my character, the way I behave, my attitude…all combine to reflect the God who created me for purpose on this earth. No moment, no situation, no person is insignificant. The truth of who I am, my authenticity, affects others. And here’s the truth. I don’t always reflect the truth of God’s character. Sure, sometimes it has nothing to do with deceit. It might have to do with ignorance. But in all honesty, how often are we ignorant in a situation versus how often we rationalize we’re ignorant? It’s much easier to plead innocence than to take responsibility. Not listening to God isn’t the same as not knowing his character. We live in a “shirk responsibility” culture. It’s easier to blame someone else. But when it comes to your personal walk with God, it’s between you and him. I can assure you, he’s not the one creating space. Are we distant from God sometimes? Yes, but we can acknowledge the distance and move. Or we can choose instead to try to figure out the distance, whine about the distance, and end up in the same place weeks or months from now. Are we hurt or confused sometimes? Yes, but again, we can acknowledge our emotions and experience and begin the process of moving to another place, or steep in the turmoil and end up in the same situation, or worse, weeks or months from now. Consider your life. Stand next to God and look into his mirror, the reflection he sees of you. Look at your authenticity, becoming actually and exactly what is claimed. There’s something we can learn in every situation from every person…even if it’s something we learn to avoid instead of replicate. How willing are you to learn? Do you go into every situation, looking for what God wants to teach you? Do you easily dismiss some situations because you’ve “been there, done that” and are certain it will be the same? It’s essential to learn from past mistakes and avoid being in similar situations or attitudes that will yield the same mistakes, but that’s not the only reason we avoid situations and attitudes. We often avoid some things because they’ll require an effort of learning we don’t really want to expend. Learning requires change, and we’re not always open to change. Even people who say they enjoy change would probably agree the change they most enjoy is that which they’ve been part of creating or that which is consistent with their preferences. Faced with change that is in opposition to where we are or where we want to be is another story. But that’s the kind of change God requires. Spiritual growth isn’t comfortable. It’s rewarding, but even when we can appreciate the benefits, we don’t always like the process. In fact, we even try to micromanage the process a bit (as if we could). Our micromanaging definitely impacts the process, but not in the way we intend. We don’t change the process. We simply impact the effect the process has on us. 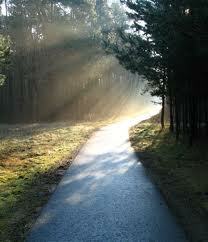 Our willingness to yield and obey through the lessons affects our spiritual growth. For example, we might begin to categorize our gifts and skills and set aside the things we don’t think we should or can do. We see people who are more organized than we are (or insert just about any other skill), and we begin to accept that we will never attain that level of organization. However, we have a great relationship with a person who has those skills, and the topic seems to come up over and over. We brush it aside, keeping ourselves where we are instead of imagining where God wants us to be. He’s handing us a learning opportunity, but our fear, intimidation, or disinterest keeps us from engaging. Yes, there are some things less likely for us to learn because of a variety of limitations, but are they limitations God created in us to keep us within the bounds of the purpose of our lives, or are we limiting ourselves? 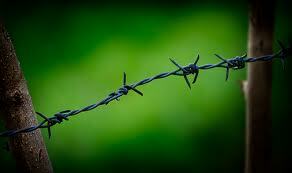 Or, are we projecting what we think are our limits, claiming them as God’s limits for us? Be careful. God will often teach outside your comfort zone. If God intends for you to learn it, you can learn it. Learning God’s way isn’t the easy way, but it’s the best way. 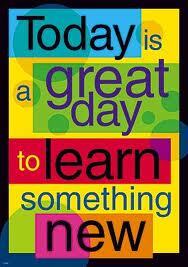 Are you ready to learn what he wants you to learn today?